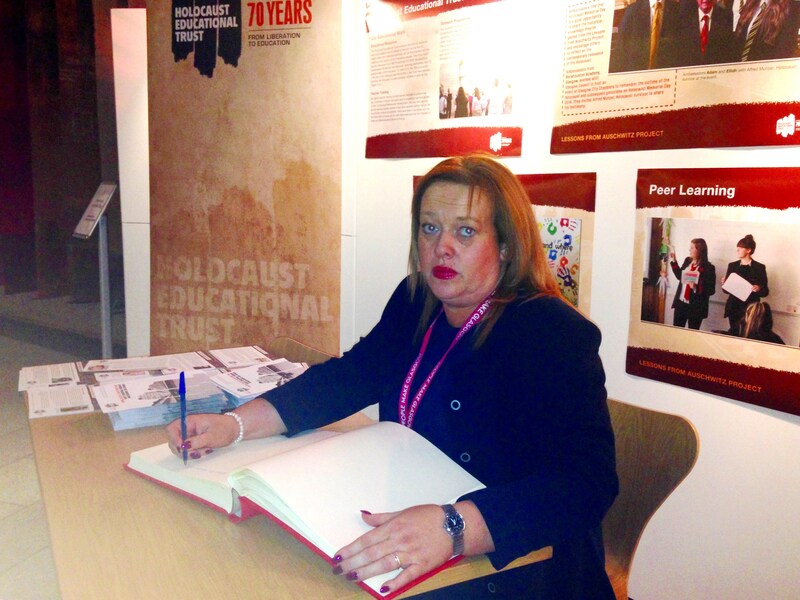 Glasgow Labour MSP Anne McTaggart yesterday remembered the 6 million Jews who died in the Holocaust and warned that the lessons of history cannot be forgotten. Ms McTaggart was speaking in a debate at the Scottish Parliament on Holocaust Memorial Day (27th January), which marked the 70th anniversary of the liberation of Auschwtiz-Birkenau concentration camp. The theme of this year’s Memorial Day is ‘Keep the Memory Alive’, with it being perhaps the last significant anniversary that will be marked with the holocaust in living memory. Ms McTaggart spoke of the significance of the anniversary in her own region Glasgow, home to a large Jewish community, and warned that racism and bigotry must be fought in all its forms across Scotland. She also identified the emergence of fascist parties across Europe in recent years as a warning that the lessons of history must be learnt, and signed the Holocaust Educational Trust Book of Commitment. “Today is a day for everyone to pause and remember the 6 million Jewish men, women and children who were murdered by the Nazi regime in occupied Europe. We need to recognise that genocide does not just take place on its own; it is a steady process that can begin if discrimination, racism and hatred are not checked, tackled and prevented. “We have come a long way since the liberation of Auschwitz 70 years ago. We would think that, after the revelation of such dreadful crimes, those who voiced the same views as the Nazis could never gain any votes or any credibility again, but sadly the spectre of fascism haunts Europe once more.